Ahead of the march to Parliament on November 29-30, 2018, organized by over 210 farmer and agricultural worker organisations of the country demanding a 21-day special session of Parliament to deliberate on remedial measures for safeguarding the interest of farm, farmers and agricultural workers, a mass rally been organized for November 23, Gandhi Sangrahalaya (Gandhi Museum), Gandhi Maidan, Patna. Say the organizers, the Eastern region merits special attention, because, while crisis of farmers and agricultural workers in Western, Southern and Northern India has received some attention in the media and central legislature, the plight of those in the Eastern region of the country (Bihar, Jharkhand, West Bengal, Orissa, Chhattisgarh and Eastern UP) has remained on the margins. 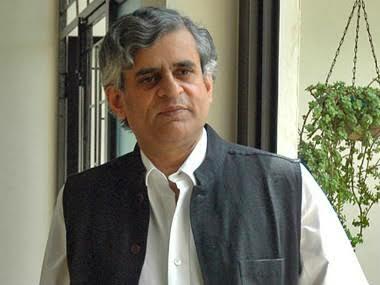 To be addressed by P Sainath, founder of People’s Archive of Rural India (PARI), a statement issued ahead of the rally says, the Eastern India was the most prosperous region in the country till the 1950s, maintaining a lead over the other regions with highest foodgrain yield of 644 kg/ha. But it lost its leading position with the advent of the Green Revolution. This revolution seems to have structurally undermined farming, farmers and farm workers in this region. The fact remains that the farmers and farm workers of this region and rest of India constitute a community of fate, it adds. The main aim of the rally, say the organizers, is to make people aware of the reason for the 21-day special session of Parliament, co-organised by the Nation for Farmers, which is a collective formed by non-farmers to support over 210 farmers' organisations, farmers and farm workers. It aims to amplify the voice of farmers and farm workers. Nation for Farmers is organizing the meeting in collaboration with its friends in Bihar’s non-farmer organizations like Tatpar Foundation, Sanmat, Indian Society for Cultural Co-operation & Friendship (ISCUF), National Alliance for People’s Movement (NAPM), Samagra Shikshan Evam Vikas Sansthan (SSEVS), Kedar Das Institute for Labour and Social Studies (KDILSS), Bihar Mahila Samaj & Indian Peoples Theatre Association (IPTA).